I don’t know about you, but Friday evenings at our house are usually slim pickin’s for finding anything in the cupboard, fridge or pantry that could make for a decent meal. Since I do most of my grocery shopping on Saturday morning, Friday evening is usually a good excuse for dinner out with hubby! As usual, this past Friday, we’d planned a visit to one of our favorite restaurants, but when I arrived home from work, I learned my husband had gotten wrapped up in a home project. By the time he finished, it would be too late to eat out. So what to do for dinner? I thought about running out and getting some fast food, but the thought was unappealing. I looked in the freezer, but found nothing that could be prepared in short order. The fridge revealed one leftover chicken breast and some mushrooms from Wednesday evening’s meal (https://cookinwithcheri.com/molto-delizioso/) and a single avocado in the crisper. Hmmm. The beginnings of a great salad . . . but no lettuce. And then I remembered! At the close of last year’s summer, my husband had tossed the remains of our lettuce out of our raised garden bed and into the surrounding mulch. Much to our surprise this spring, large tufts of lettuce were growing out of the mulch. So with garden scissors in hand, I went out to snip away and, as I passed our strawberry plants, also discovered some large ripe strawberries ready for picking! 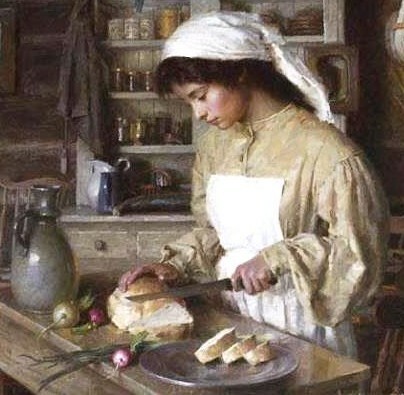 A delicious dinner was soon to be served! Flour, salt and pepper the chicken breast and brown in olive oil. Add a clove of crushed garlic, ¼ tablespoon of lemon juice, 1 tablespoon white cooking wine, and 6 oz. of sliced mushrooms and sauté for 15-20 minutes. Tear the lettuce into edible pieces. 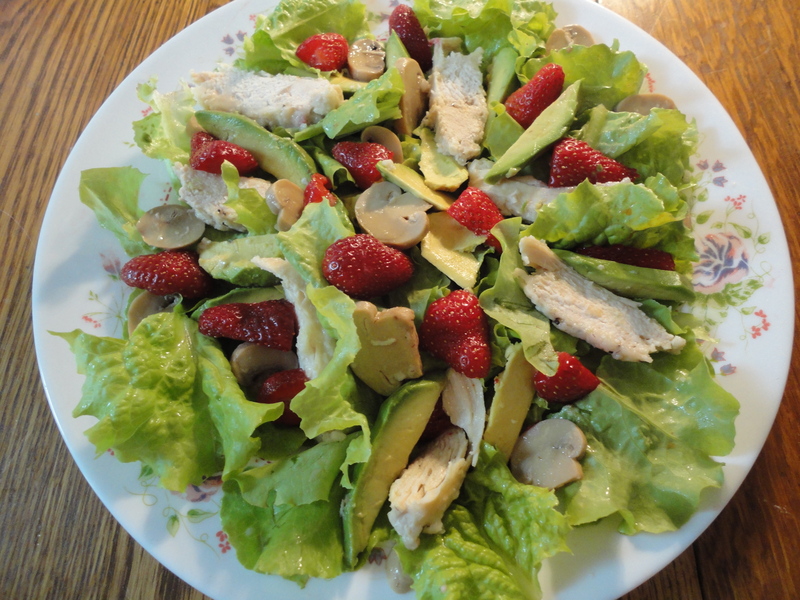 Slice the chicken breast, avocado, and strawberries and display each in a pretty circle atop the lettuce. Scatter the mushrooms across the salad and serve with an Italian vinaigrette. Very delicious and most satisfying! As a Christian, do you ever feel like your “pantry is bare”? That you don’t have what it takes to make a difference in this world for Christ? You don’t have enough knowledge about scripture, or you don’t have the right words to say, or you’re a young Christian and you don’t have a lot of experience. 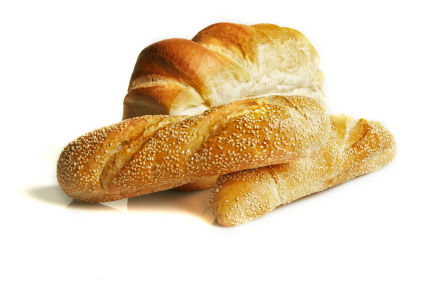 You can’t see beyond your human lack, so you just don’t bother, and your neighbors, friends or family members “starve to death” because no one will introduce them to the Bread of Life! God has equipped us with every single thing we need to do what He has called us to do. He goes before us into every situation and has prepared the way for us. All we have to do is be available, willing, and yielded to the leading of the Holy Spirit. Our pantry is full and our garden is overflowing! So let’s get busy and “feed” the “hungry”. They’ll find it to be spiritually fulfilling and eternally satisfying! This entry was posted in Salads, Uncategorized. Bookmark the permalink.